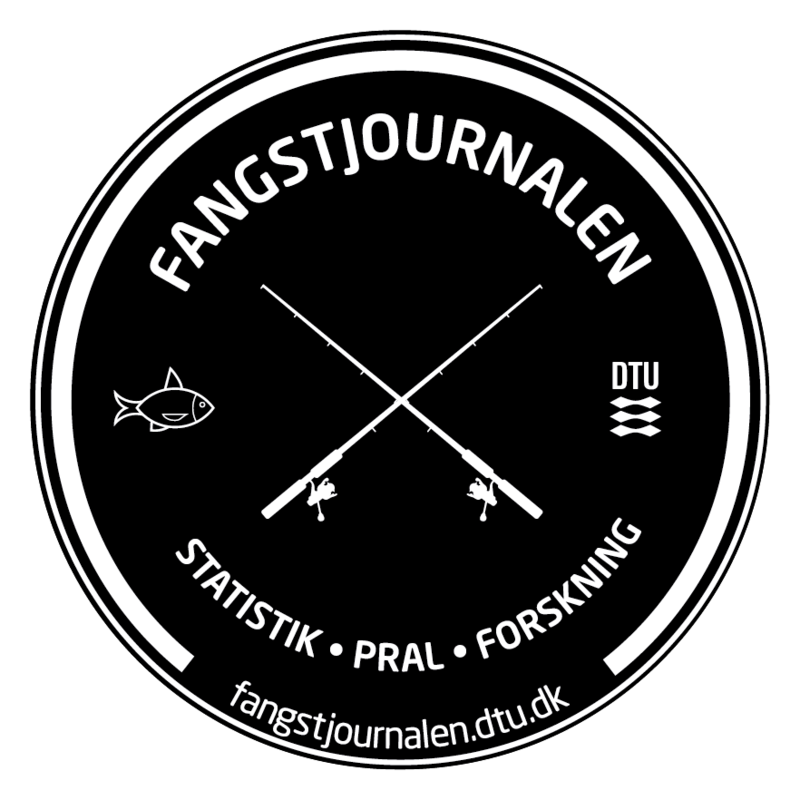 Fangstjournalen is a tool for anglers who would like to keep a cool diary that makes it easy to overlook catches and fishing trips and at the same time give a helping hand to the fish stocks in Denmark. Overall, your entries into the app will provide researchersat DTU Aqua with key information on whether the number of fish is rising or falling, and whether numbers of large fish are increasing or declining. This will enable DTU Aqua to keep an eye on how stocks of fish around Fyn are developing, whether that is due to changes in climate, habitats, fishing or, perhaps, changes in the feed base of the fish, or the number of fish-eating predators. 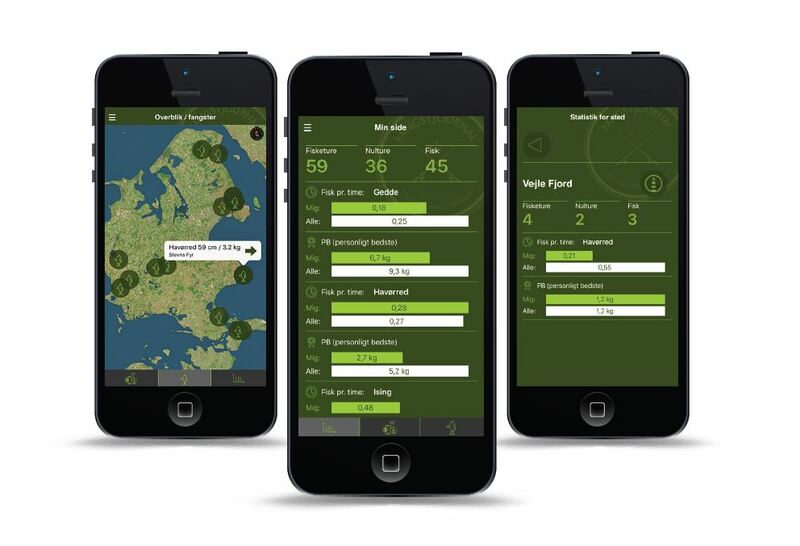 The app is developed by DTU Aqua, Technical University of Denmark, who provides advisory services about fish and fisheries for the Ministry of Environment and Food of Denmark as well as for a number of municipalities and several NGO’s. Fangstjournalen makes it easy to register all the details about your fishing trip and catches – either while you are fishing or when the fishing trip has been completed. When you use Fangstjournalen, you provide valuable data that are used in the management and research that DTU Aqua conduct. Currently info about the status of the fish stocks are scarce in many waters and that is a limiting factor for fisheries management. Data from Fangstjournalen are used to increase our knowledge about how fish stocks react e.g., to changes in climate, habitats, abundance of fish predators, fisheries regulation, pollution, invasive species and more. The special “Overview” page makes it easy to overview your fishing trips and catches. Your catches and fishing trips are presented on a map and if you click on the icons you get all the details. “My page” gives you and overview of your record fish and catch statistics for all the species you have caught and your averages are compared with an average from other anglers. When you register a fishing trip the weather information for your fishing spot is automatically attached. Moreover, it’s easy to attach your own photos to the fishing trip and individual catches. At the “Overview” page you can see your own as well as public statistics for the fishing waters where you have fished. You can see information about record fish and catch rates, i.e. how many fish are caught pr. hour. Note that private catches are not included in the public statistic. 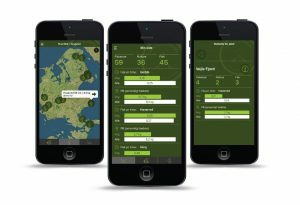 Many anglers want to keep their catches private, so obviously the Fangstjournalen app includes that option, too. If you make a catch private, the catch is not included in any statistics displayed, but your fishing trip and catch can still contribute to research. Generally speaking, of course, you are completely anonymous on Fangstjournalen – the only exception is if you yourself choose to boast about a catch on Fangstjournalen’s boasting page. You can also use Fangstjournalen to share a catch on social media. For example, you can display a fish to a group of selected fishing pals on Facebook. In that connection, you also have the option of renaming the fishing location, e.g. the Coast of Helnæs Strand can be renamed “Coast of Fyn”. 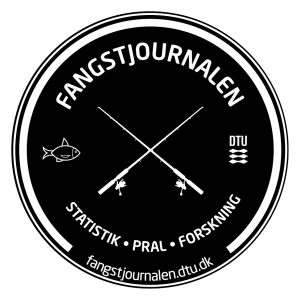 When you sign up for Fangstjournalen DTU Aqua collect information about your name, age, country, memberships of Danish angling clubs, email adress and password. According to Danish law we are allowed to collect and use this information with your permission. DTU Aqua use this data for statistics, to optimize the functionalities and to prevent abuse.